1. Abaco National Park – Sitting on 22,000 acres this preservation area is home to over 1000 Abaco parrots. 2. Adderly’s Plantation Ruins – Construction began around 1790. While the plantation has passed through several family and employee’s hands and was severely damaged during a hurricane. Eventually much of it has been developed and is now the Stella Maris Estate. A beautiful piece of history that you must not miss. 3. Andros Lighthouse – Part of the Andros Lighthouse Yacht Club and Marina, stands this 107 year old lighthouse. In addition to visiting the structure, visitors may enjoy the private beach for relaxing, snorkeling and swimming. 4. Balcony House Museum – This house is about 220 years old and is the oldest residential building of the Bahamas. The house opened as a museum in 1994 and holds a ton of Bahamas history. 5. Scuba Diving – No trip to the Bahamas is complete without a scuba diving adventure. This will give vacationers a chance to visit ancient wrecks and reefs as well as swim with dolphins. This is a great excursion that may be included in a Carnival cruise to Bahamas or offered at a discounted price. 6. Bahamas Discovery Quest – Visitors are able to discover the fascinating Long Island, Bahamas marine life. You may enjoy deep-sea, deep-drop and reef fishing as well as hiking or hunting for seashells and crabs. 7. Disney Castaway Cay – This is included in most of the Disney cruise deals that are available. You will be able to enjoy Disney’s own private island where you will find many fun things to do in Bahamas. You will be able to enjoy swimming with stingrays, parasailing, bicycle rides or float over the ocean waves in an inner tube. 8. Bimini Sands Recreation and Activity Center – This center offers many fun tours including nature trail, kayaking, snorkeling and shark encounters. 9. Atlantis Waterscape – This is available as one of the excursions with several of the Bahamas Cruises and should not be missed. This is the World’s largest open air aquarium which is home to over 200 species of marine life. You will also be able to enjoy waterfalls and a lazy river ride as well as six exhibit lagoons with live coral and over 14,000 fish. 10. Ardastra Gardens, Zoo and Conservation Park – This is home to many iguanas and over 50 species of animals, birds and reptiles. There are even several exhibits of non-native species such as monkeys, caimans and jaguars. There are so many fun things to do in Bahamas no matter which of the wonderful cruises that you choose. 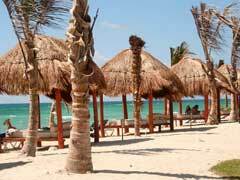 Many packages will include some of these excursions or you can purchase the excursions at a discounted price.